I have become slightly obsessed with my "old" thread. 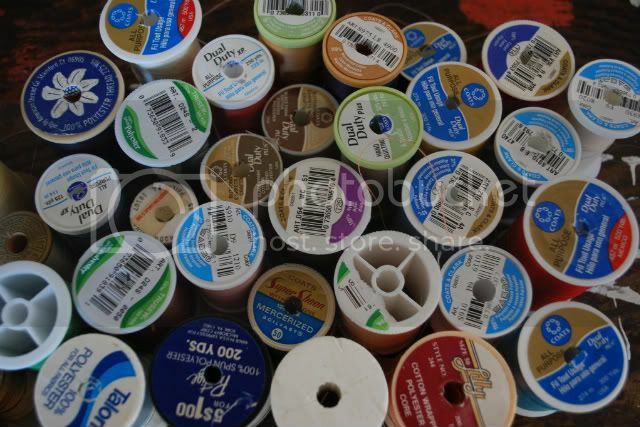 I actually bought the bags of thread thinking that I would unravel the string and use the wooden spools for bakers twine - which is still the plan - but it is going to take a lot longer then I thought because I am going to use the thread first. I love everything about this thread. 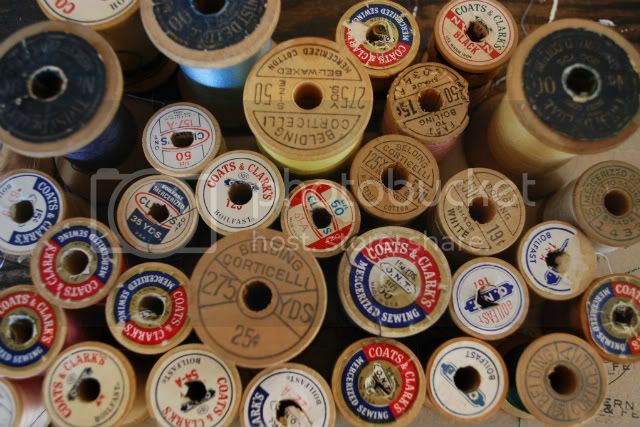 I researched the labels and some of the Coat & Clark's thread dates back to the 1930's. My obsession lies in the fact that the thread is shinier, stronger & more beautiful than the modern thread. Not to mention that the label design is so much better.